Rx: Say this twice daily. Once in the morning, and once before bed..Dr. Jesus orders! Joshua 24:15 ……..As for me and my house, we will serve the Lord. 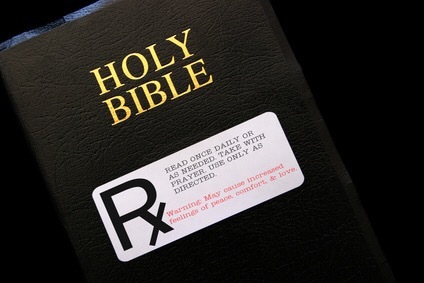 Let us know how you feel in two weeks…prescribed by The Holy Trinity!!! !